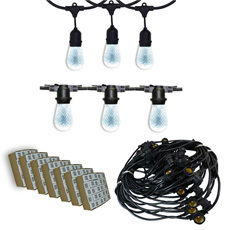 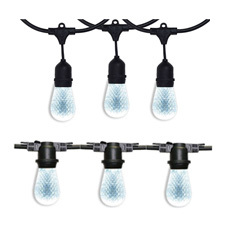 Medium base all in one string light kits come in a multiple different sizes. 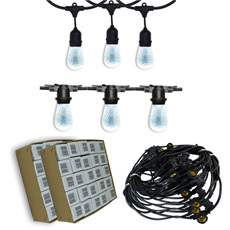 Check out the 21' All-In-One Sets, the 48' All-In-One Sets, the 54' All-In-One Sets, the 100' All-In-One Sets, or the 330 Foot Commercial Light Strands. 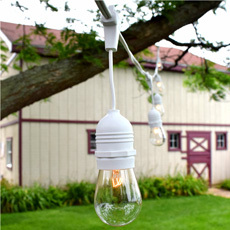 Our medium base all in one light sets are not only put together for a beautiful combination of bulbs and strands for creating the lighting ambiance that puts you above all others but it is constructed with heavy duty material and assembly for long lasting ambiance. 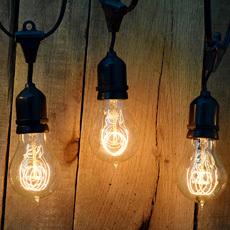 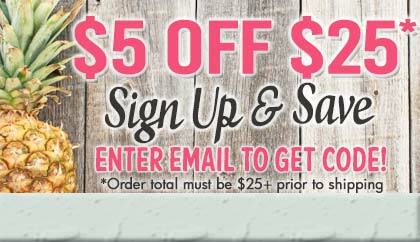 You might also want to take a look at our hanging hardware to make sure your lights are safe, secure and neatly hung.